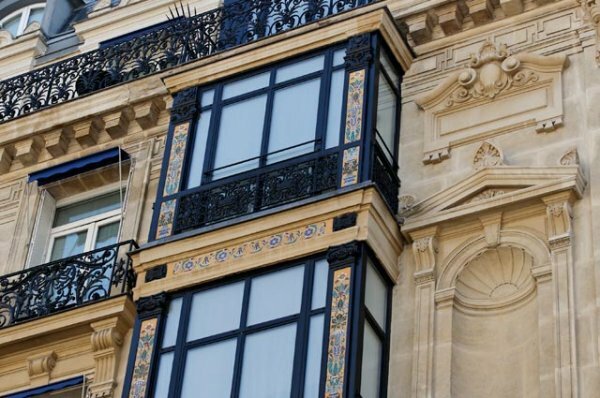 In Paris, in the heart of the Golden Triangle and in a quiet street between Montaigne Avenue, Georges V Avenue and the Champs-Elysees, lies a hotel that associates the brilliant architecture of the Hausmann era with a contemporary elegant style. 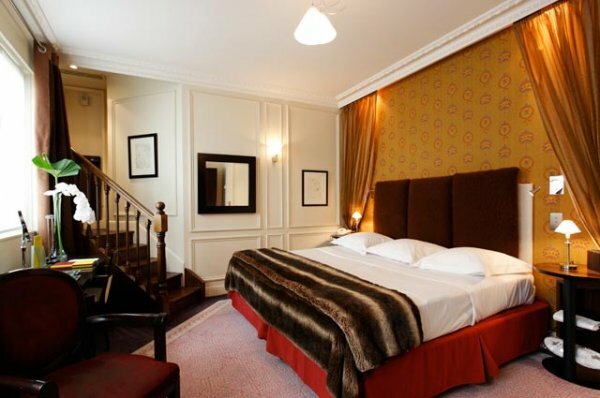 The hotel is La Tremoille. 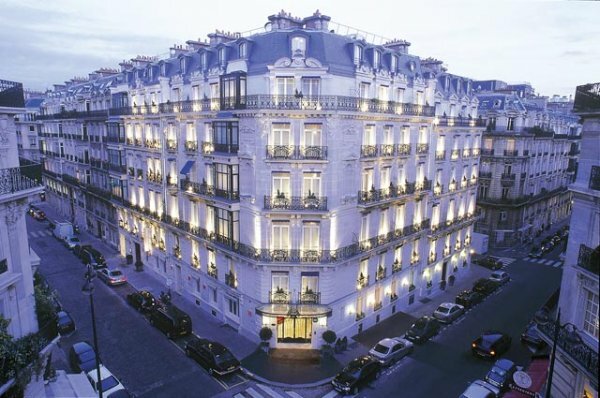 Always one of the jewels in Paris’ realm of traditional deluxe hotels, La Tremoille reopened its doors to the public in June 2002 after 15 months of extensive transformation. 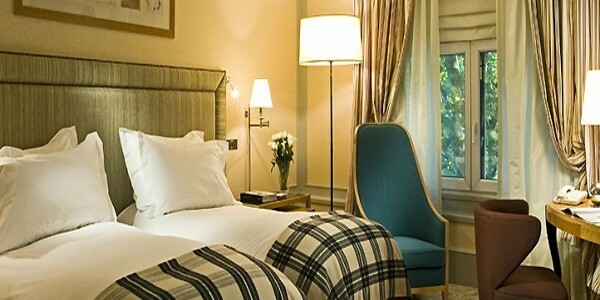 The hotel’s steadfast, quality-conscious personnel is ready to greet you in a resolutely contemporary decor. The 93 comfortable, modern rooms are decorated in over 30 harmonious color schemes that vary from room to room and leave guests with a unique and warm feeling of unpretentious luxury. 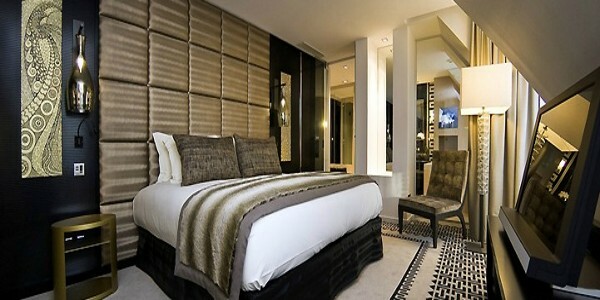 The hotel features absolute privacy for guests who request it, thanks to a unique system installed in all rooms. Each room at the Tremoille has a private compartment- called the “Hatch”- linking it to the hallway, so that room service can be brought to your room without service staff actually entering the room. Massages and treatments: A feeling of serenity and purity at the Centre de Soins, where a vast array of treatments are offered each day and can be combined into a personalized program of relaxation, calm and wellness just for you. Cardio-training room with plasma screen TV. Sauna also available. 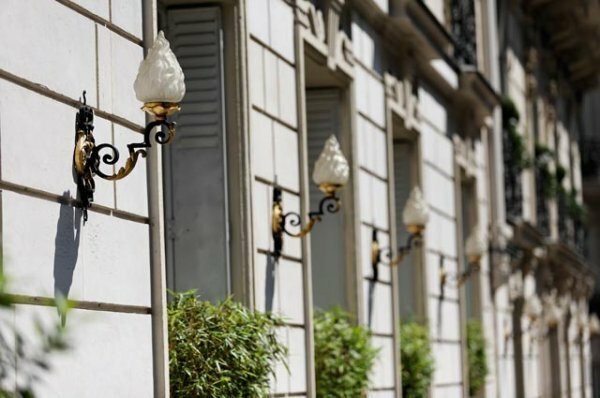 Located in the heart of the Golden Triangle.Shopping streets like Avenue Montaigne and Avenue George V are a stones throw away from the hotel. 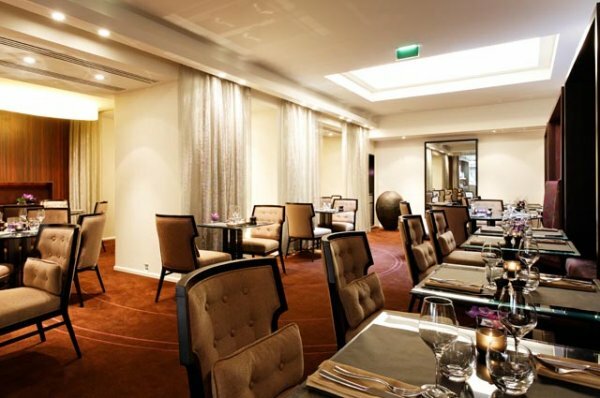 The two meeting rooms at Hotel La Trémoille can serve between 8 and 20 people and are isolated from the hustle and bustle of the hotel reception. 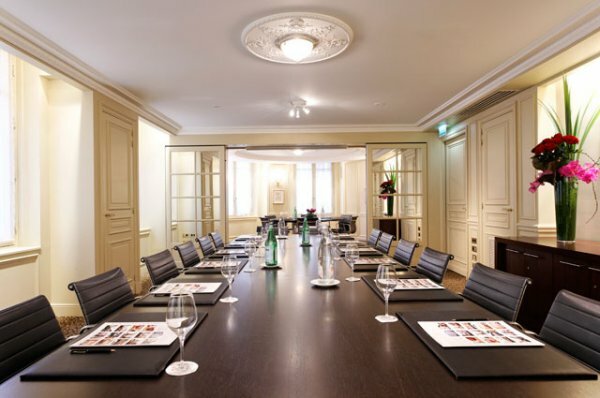 Naturally lit and equipped with all the latest technologies, our two inter-connecting meeting rooms at Hotel La Trémoille can be used for customised and efficient business meetings in Paris. The largest salon in the hotel ‘Salon Trémoille’ measures 45m² and caters for up to 20 people, whilst our smaller meeting room the ‘Salon Renaissance’ measures 20m² and can accommodate up to 8 guests. 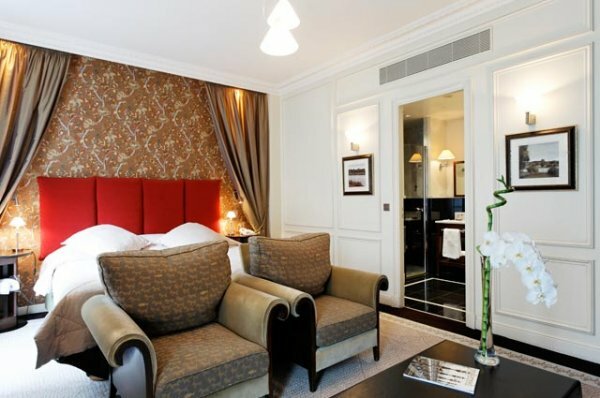 Both meeting rooms at Hotel La Trémoille are on the ground floor of the hotel and benefit from natural daylight. 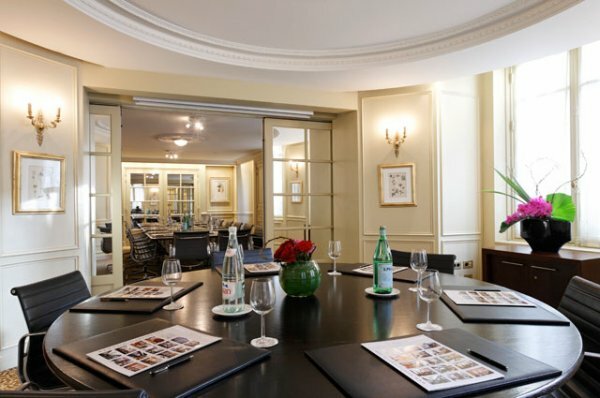 Meeting room hire charges include the room rental and basic equipment such as a screen, flipchart, and projector, catering for two coffee-breaks and the lunch at Louis² restaurant (alcohol will be charged separately). Other equipment is available on demand. 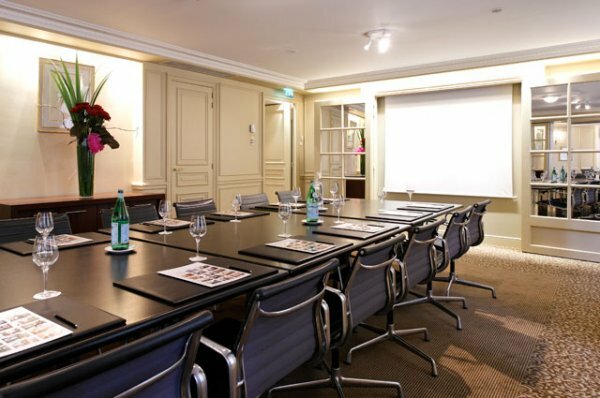 Our meeting rooms are the ideal place to work from, just a stone’s throw away from the Champs-Elysées. 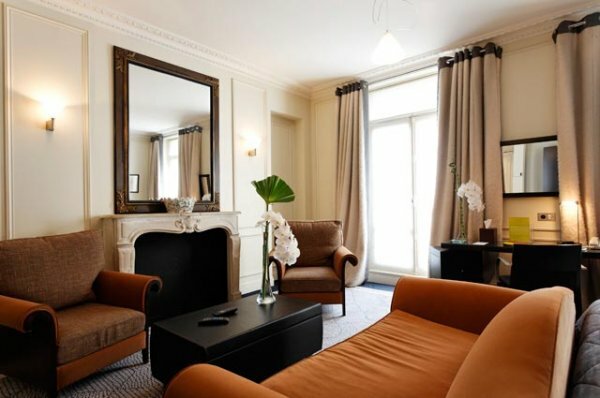 There are over 30 different colour schemes that have been used in the 93 rooms and suites, blending the traditional Haussmann features of the building with modern tones in harmonious colours of ochre, brown, caramel, grey and white. 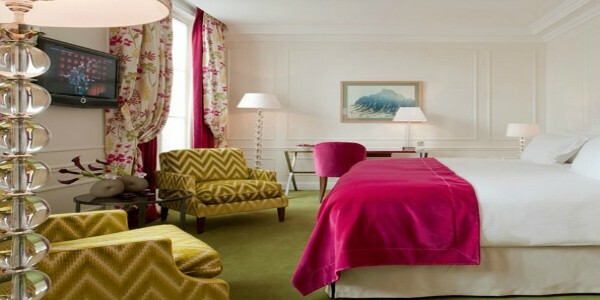 The deluxe designer furniture and lighting fixtures blend perfectly with the Nobilis silks, velvets and mohair drapes. The chic range of materials used in the interior decoration all have a tactile quality to them and contribute to the hotel’s mission: to provide guests with a stay bathed in comfort. In the bathrooms an ingenious triptych mirror decorates the wall above the elegant marble counters, and the hand-woven wicker baskets add a warm note to the atmosphere. 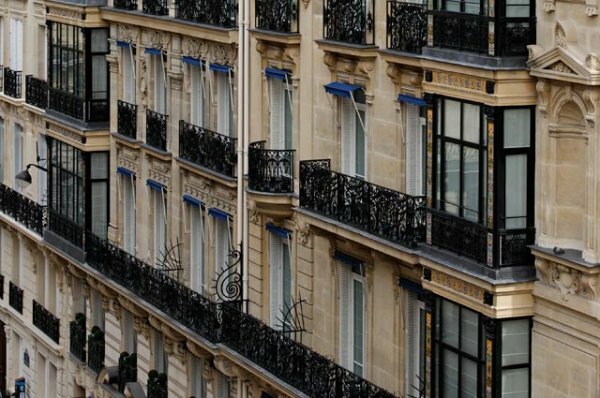 Some rooms also have private balconies or bow windows that offer splendid views of Paris rooftops. Whether you’re here for business or pleasure, you’ll find it simple to browse the Internet with our free, unlimited connection by cable or Wi-Fi. 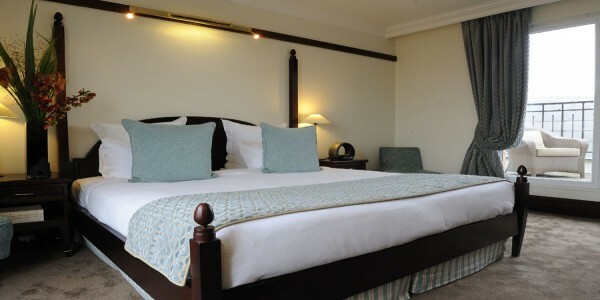 The colourful and chic decorating themes have been used in all our rooms blending the traditional features of the building with modern tones. Each room is equipped with ‘the hatch’ an individual silent butler closet next to the room door, with locked access for room service. 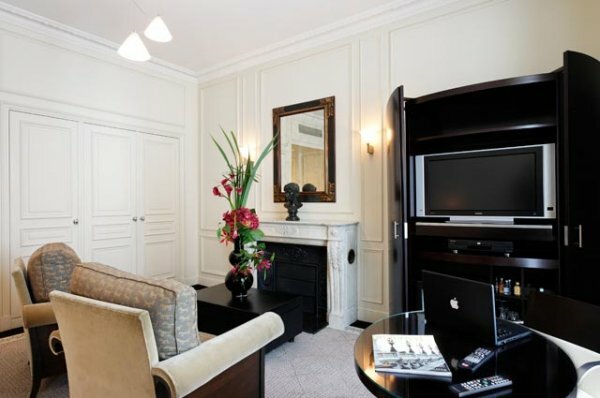 Whether for business or pleasure, it’s extremely simple to browse the Internet from your room at La Trémoille. You can connect your laptop to our direct and unlimited Internet access. 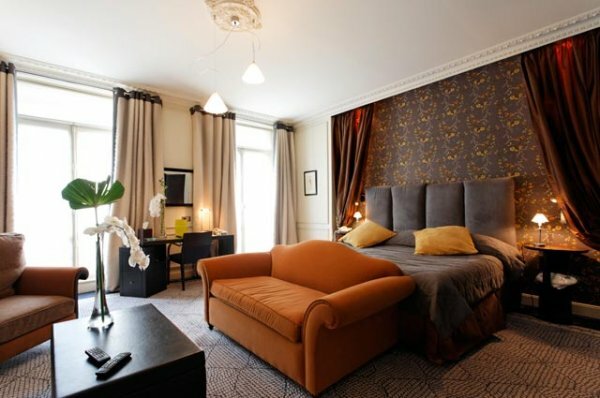 There are over 30 different colour schemes that have been used in the 93 rooms and suites at La Trémoille, blending the traditional Haussmann features of the building with modern tones in colours of ochre, brown, caramel, grey and white. 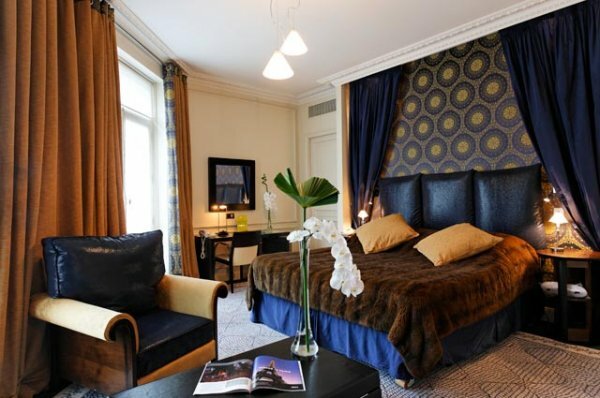 Push aside the soft mohair curtains and discover a panoramic view of the Paris rooftops. At this pleasant moment in the quiet of your suite you can decide to receive guests in you suite’s living room, or simply sink into one of its comfortable armchairs and relax. Slide back the cabinet door and you’ll discover a television and DVD player – just what you needed for a relaxing break. In the bathroom, where the dark marble echoes the warm woodwork, you can take advantage of the superb Molton Brown products – take a refreshing shower or plunge happily into the deep bathtub. 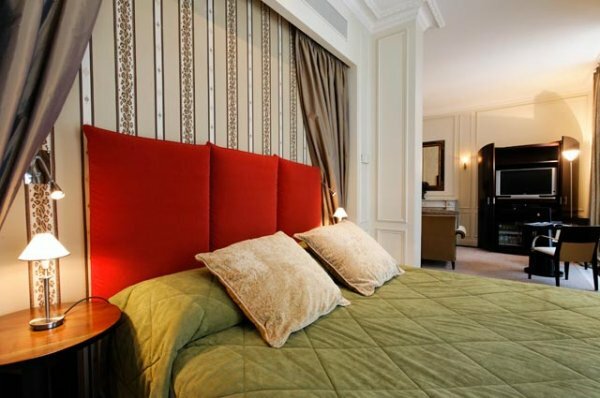 Looking past the soft mohair curtains that decorate our suites, you can look out to a panoramic view over the Parisian rooftops. In the quiet of your suite you can decide to receive guests in your living room, or simply sink into one of its comfortable armchairs and relax. Slide the cabinet door back and you’ll discover a wide screen television and DVD player – just what you need to help you switch off and have a relaxing break. In the bathroom, you can choose whether to take a refreshing shower or plunge happily into the deep bathtub. The bathrooms’ dark marble echoes the warm tones of wooden furniture, and you can take advantage of the superb range of Molton Brown products. 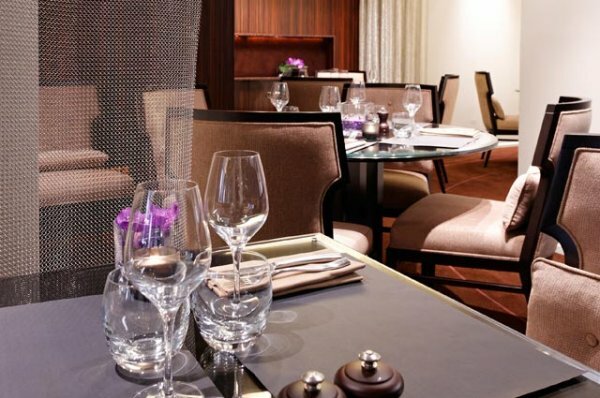 La Trémoille presents its restaurant, bar and lounge ‘Louis²’, named after Louis II, the sire of La Trémoille, grand chevalier of the Renaissance and ambassador of the hotel. 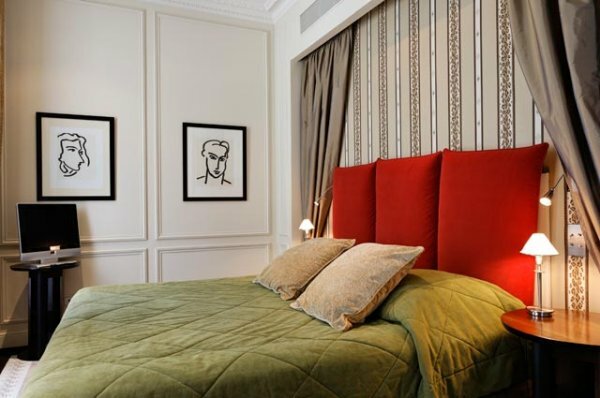 Designed by architects Stéphane Satorra and David Duron, Louis² is decorated in a warm colour palette, furnished with precious woods, embroidered fabrics and thick carpets, which make guests feel right at home. This thirties-inspired decor puts an emphasis on geometric design, as seen in the cornices and mouldings the square-shaped light fixtures and comfortable furniture. 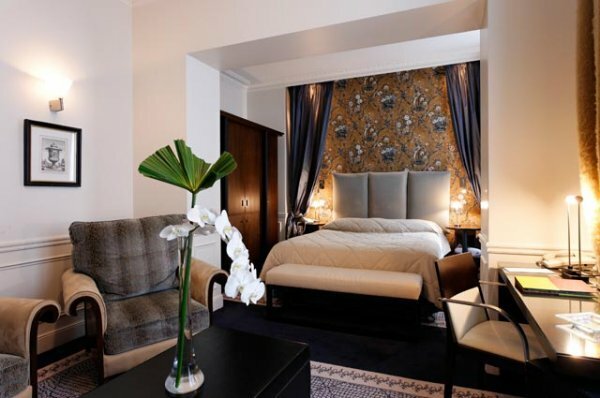 Louis² is an ideal place to rendez-vous for both hotel guests and those in search of an intimate, elegant and casual address in the heart of the city. 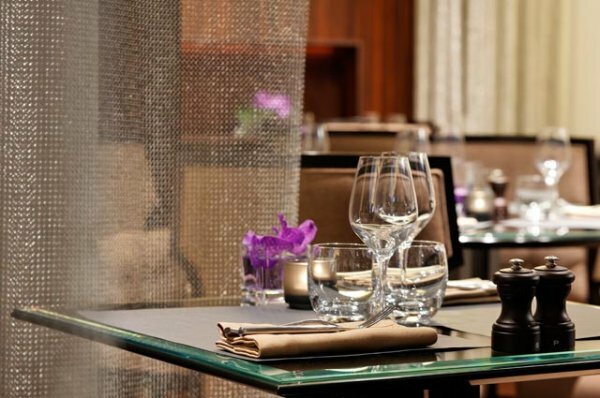 Guests are sure to delight in the daring and creative cuisine created by chef Yann Frohn. Highlights include tasty dishes such as brandied lobster, light and sophisticated salads and inventive home made desserts. 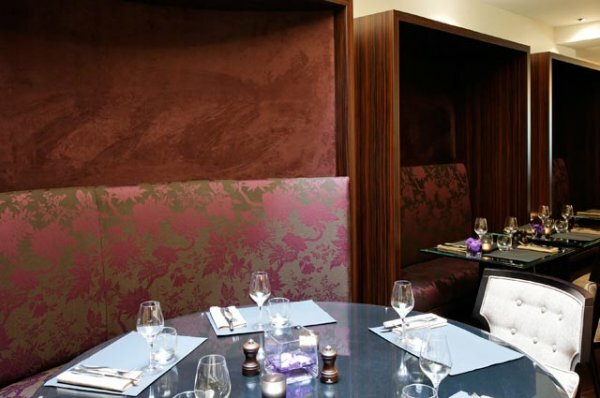 A lively atmosphere can be felt in the Louis² restaurant at lunchtime, with opening hours of between 12:00 to 14:30 (last orders). Over the course of the afternoon a rather more serene tone takes over the restaurant, and diners arrive to enjoy dinner between 19:00 to 23:00 (last orders). The bar is decorated with comfortable stools and a large table, making it an ideal place for a casual lunch or a quick mid-day snack. In the lounge the ambiance is discreet, with a piano in the bar and cosy seats by the fireplace, means it’s a perfect place to spend a moment at any time of day or evening. Graphic lines, geometric patterns and a modern style recall the thirties with a resolutely contemporary twist. The Welcome Lounge is open from 11:00 to 23:00 (light food and beverages served uninterruptedly).